Ventriloquism is a sort of unnerving experience. Puppets are involved, sure, but there’s also this added bizarre effect where the human operating the puppet hides the fact that they’re speaking. Just a slight case of denial as Anna Freud might say. Visual artist Gisèle Vienne also picked up on this strangeness. The half French, half German artist and choreographer first used ventriloquism in her 2007 piece “Jerk,” based on a novel about real life American serial killer Dean Corll. That experience, combined with an encounter with German puppeteer group The Puppentheater Halle, led Vienne to develop a new theatrical piece – this one around the Vent Haven ventriloquists convention in Kentucky, which claims to be the world’s oldest and largest. 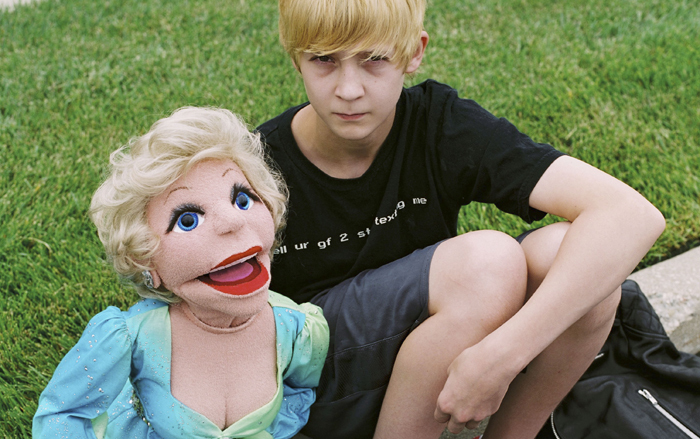 The piece born out of all that – “The Ventriloquist’s Convention” – premiered in Germany this summer, with puppet design and choreography from Vienne and a script by her longtime collaborator, American author Dennis Cooper. Vienne describes the work as a dark, melancholic exploration of the ways human beings hide, whether behind puppets or their own stunted emotions. Which leads both dummies and people towards their own untapped feelings. “That brings them to unfold very personal concerns and I think they’re talking about deep questions we all have concerning affection and loneliness and death and love,” she said. It’s not Vienne’s first time crafting a work around “dummies.” Her 2001 piece “Showroom Dummies” used real women, often grotesquely masked, who were then posed as mannequins. Watch an exerpt of "Showroom Dummies" below. It’s the human fascination with artificial bodies, Vienne said, which makes both theatrical pieces so effective. “The Ventriloquist’s Convention” runs Thursday-Saturday at the Museum of Contemporary Art, 220 E. Chicago Ave.